Hi there! I can't believe its already April! The April Jaded Blossom Challenge starts today! 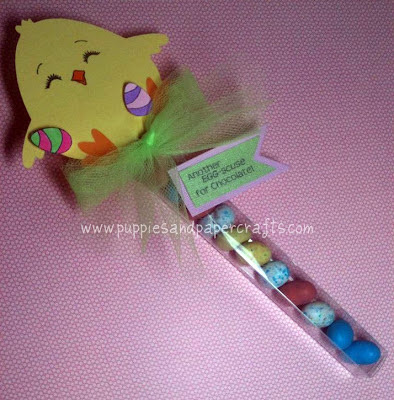 All you have to do is make an Easter Treat and use a Jaded Blossom Stamp! Here is my Easter Treat! OMW...I am sooo doing this =0) I have some JB easter stamps! I might need help linking my lil lonely blog though hahaha !! 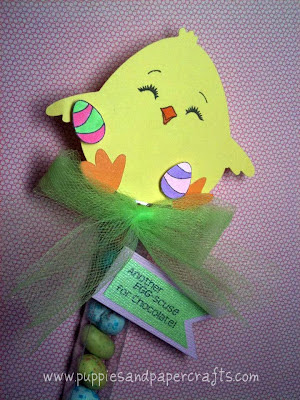 this is super cute chickie !!!! love it !!!! This is just too cute Kim. Love that Chickie's face.